I don't often run home from Paris and cook one of the items I learned to cook at Atelier des Chefs, but I so enjoyed this dish that I did exactly that. 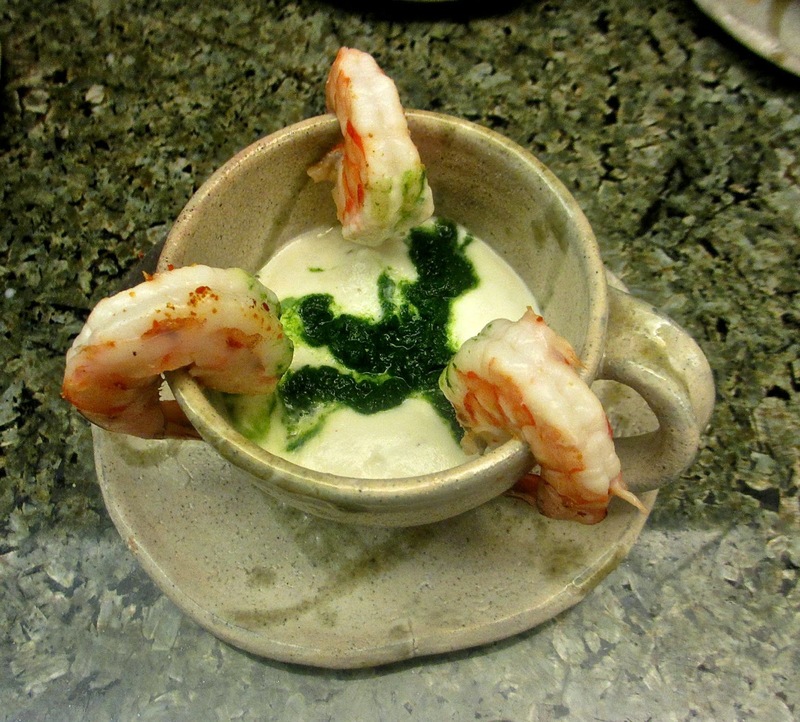 Mousse de chou-fleur, coeur de persil, gambas au piment d'Espelette (cauliflower mousse with parsley sauce and shrimp with Espelette pepper) has a great texture (it's really a foam dispensed from a siphon), taste and appearance, even better when I used Japanese ceramic cups rather than the cheap verrines provided at the school. The slightly bitter parsley ties together the very different tastes of the cauliflower and the shrimp, making for a nice little party in your mouth.